What Day Of The Week Is November 24? 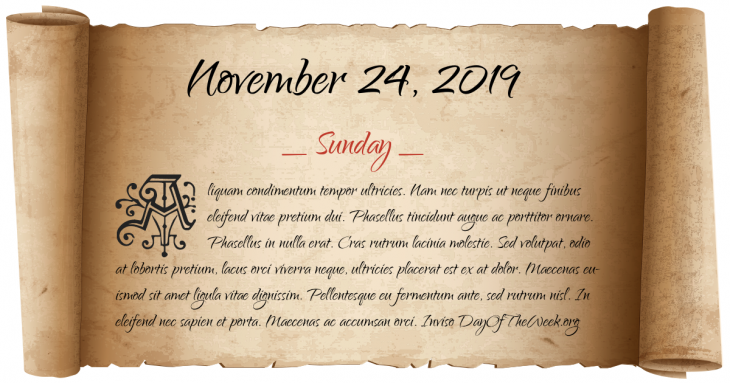 November 24, 2019 is the 328th day of the year 2019 in the Gregorian calendar. There are 37 days remaining until the end of the year. The day of the week is Sunday. Danish troops defeat a Schleswig-Holstein force in the town of Lottorf, Schleswig-Holstein. A China Southern Airlines domestic flight in the People’s Republic of China, crashes, killing all 141 people on-board. Who were born on November 24?